product information, customer examples, and a technical demonstration. spotlight keynotes, and add-on trainings. a product where ANSYS software played a critical role in its creation. 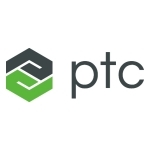 trademarks of PTC Inc. in the United States and other countries.